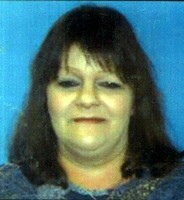 Provide comfort for the family of Sandra Jacobs with a meaningful gesture of sympathy. Sandra Jacobs, 64, of Greeley, passed away on January 21, 2019 in Greeley. Sandra was born in Omaha, Nebraska to James & Gertrude (Zweygardt) Ness on March 24, 1954. Sandra was a true patriot who served honorably in the US Army from 1976-1979. On March 1, 1985, Sandra married Michael Jacobs. She was a kind, generous, and funny woman who loved to talk! Sandra leaves behind many cousins & friends. She was preceded in death by her husband; brother, James Ness Jr; and parents. A private family celebration will be held. To send flowers in memory of Sandra Kay Jacobs, please visit our Heartfelt Sympathies Store. Provide comfort for the family of Sandra Kay Jacobs by sending flowers.